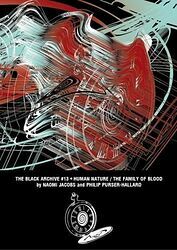 Launched in 2016 by Obverse Books, The Black Archive is a series of critical monographs, each of which is basically a book-length dissertation on an individual Doctor Who story. Initially publishing six titles a year, the series was an immediate success, leading to the release frequency being increased to monthly from 2018 onwards. More details on the Obverse Books website.